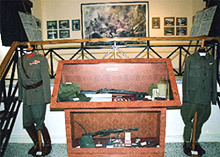 The A’ World War-Battle of Skra museum, operates since May 2002. 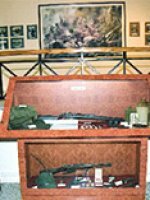 The exhibition presents photos ,historical documents, and relics from the Macedonian Frontier of World War A’ as well as from the decisive winning for the Greeks battle of Skra, on the 17th May of 1918. 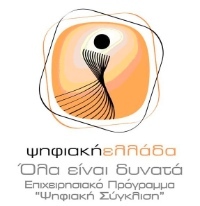 The museum is run by the people οf Skra village who will give you the key and guide you around. Ask at the 'platia' (square) of the village for information. 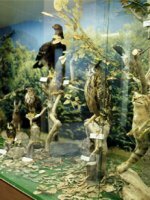 The Museum of Natural History began its operatiopn on July 8th, 1997 contributing to the cultural and touristic development of Municipality of Axioupoli and surrounding area. For four years the first workers of this construction worked nonstop to create Museum of Natural History in Municipality of Axioupoli. They began by renovating the old building of the Primary School in order to house the museum. 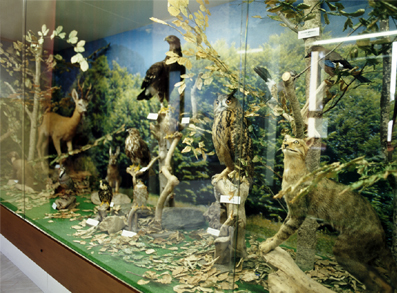 Nowadays, the museum includes 6 units (geology, paleontology, mineralogy, petrology, botanic and fauna) and has several exhibits placed in specially formed rooms. Given the dynamics of the Museum, its activities do not stop here. They enter also culture and tourism sectors, contributing to their development. 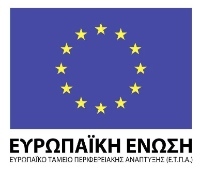 The museum is housed on the upper level of the refurnished Old Elementary School of Evropos. The exhibitions are consisted of objects used in the every day life od the inhabitants of this area and where given to the museum by the people of Evropos. The way this museum is organized is exceptional and it really highlights all items exhibited. A stop at this museum is highly recommended.